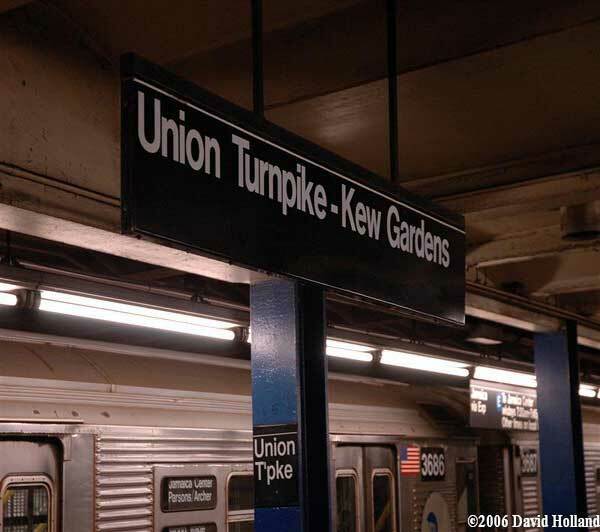 MTA NYC Transit announces the opening of three new Americans with Disabilities Act (ADA) elevators at the Kew Gardens-Union Turnpike station bringing the number of ADA accessible stations to 67. With the completion of this project, Transit has met its commitment to have 67 accessible stations available for use by 2010 two years early. On hand for the ribbon-cutting ceremony were MTA Executive Director and CEO Elliot G. Sander, MTA NYC Transit President Howard H. Roberts, Jr., Queens Borough President Helen Marshall and several local elected officials. The street elevator headhouse is located on the southeast corner of Union Turnpike and Kew Gardens Road, just south of Queens Boulevard. Now customers with disabilities can take advantage of the new elevators: one providing access between the street and the mezzanine level and two connecting the mezzanine and platforms. The Kew Gardens-Union Turnpike station is the fifth busiest station in Queens with an average weekday ridership count of 27,658 as of March 2008. Originally opened in December 1936, the station is a major transfer point to bus lines providing access to destinations such as JFK International Airport, North Shore/Long Island Jewish Hospital Medical Center, St. John’s University, numerous parks and other educational facilities. The $13.9 million station renovation project which began in July 2006 also included other improvements including: accessible station booth windows, handrails, graphics, public telephones, platform warning strips and the minimization of platform edge gaps. So far, this year, 11 ADA elevators have been opened in six stations. Three more elevators are planned for completion at additional one station later this year. These accessibility improvements were funded through the MTA Capital Plan. As with other ADA elevators in the system, these new elevators have been equipped with closed-circuit televisions and talk-back intercom systems which will allow users to communicate directly with the station agent’s booth and Station Command in case of an emergency. In addition, these elevators are included in NYC Transit’s lift-net monitoring system that alerts technicians immediately should the elevator should breakdown. With real time information, repairs crews can be dispatched sooner, ensuring a much faster response to incidents and the subsequent repairs. In addition to Borough President Helen Marshall, attendees included State Senator Shirley L. Huntley, Assembly Member Andrew Hevesi, Assembly Member Nettie Mayersohn, Council Member Melinda Katz and Council Member James Gennaro. I take train from this station every day.Last fue day this station smels tereble.Can the transit do some thing about that!